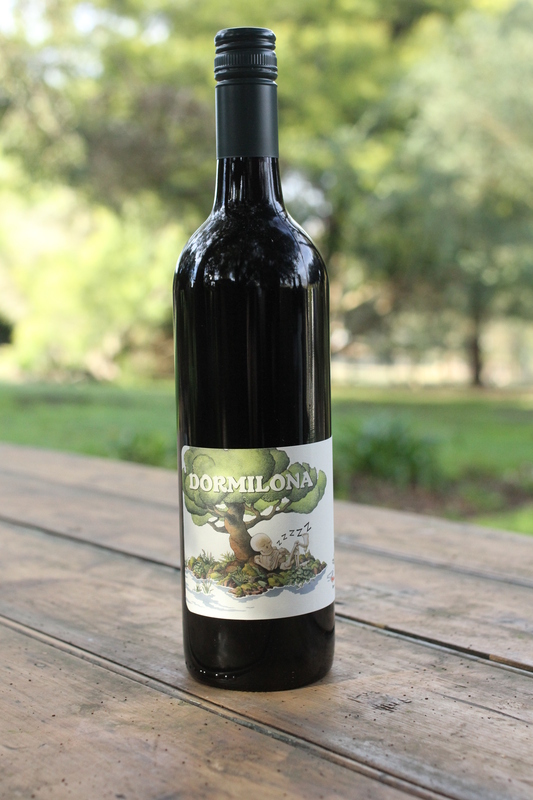 Introducing Dormilona Cabernet Sauvignon – a wine made from a blend of two biodynamic and organic vineyards in Yallingup in the famed Margaret River region. The label is pretty eye-catching on this one. I thought that seeing a bag of bones asleep under a tree on a front label would be confusing enough. “Is the wine so boring it will put me to sleep?” I thought. Suffice to say that after a wee tasting, those two questions were put to rest. This medium-bodied wine excites with an intensely fruity nose of raspberry and pomegranate with elements of nettle and chocolate on the side. The palate is vibrant and balanced with very fine and gentle tannins. In the end I was not able to work out the relation of the skeleton to the Dormilona wine. Had it been me, I would have imagined a voluptuous woman in its place to emphasise the fruitful fleshiness of the wine. I suppose he does look poised and at peace, which about sums up how I felt after a couple of glasses with dinner. Perhaps therein lies the point. Dormi comes from the word sleep. The skeleton perhaps that you would die happy drinking this wine haha.